Easier said than done. Even if you know somebody is in a better place– and you know you’ll see them again one day– it’s hard because they’re not here. Call us worldly and selfish, but we miss our friends. Someone like Lauren makes me want to live by that old adage, however. Not too many people come along that make you a better person for having known them. I am a better Sloane because I knew Lauren Witty, and I am thankful to have considered her a friend. 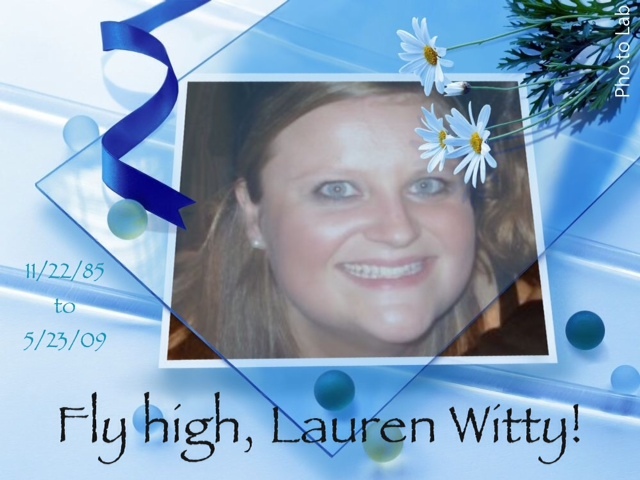 This entry was posted in * R. i. P. *, Death and tagged Lauren Witty. Bookmark the permalink.